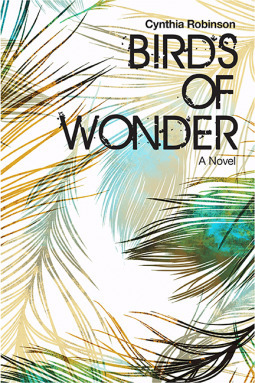 Cynthia Robinson's debut novel Birds of Wonder is a profound literary mystery. School teacher Beatrice is walking her dog when she stumbles upon the body of the star of the upcoming school play. She calls her daughter who is a local police detective. Though the body is found on the property of her latest one night stand, Jes believes this is her opportunity to show boss, who happens to be the uncle of her partner, that she is as good as any male detective. Birds of Wonder reminded me a bit of Girl in Snow by Danya Kukafka. In the same way, the mystery surrounding the death of Amber is just the catalyst for exploring the private lives of a number of somewhat connected characters. I had a hard time getting into the story. The characters all felt a little too stereotypical to be real. There is the controlling socialite, the misunderstood artist, the wife and mother who rather ignore reality in lieu of perfect life she has created, the religious fanatic foster parents, crazy homeless guy, etc. Jes, who is the most central character of this ensemble cast, was maybe the most realistic but I didn't really care for her personality. The story unfolds in a revolving character-focused manner with each chapter dedicated mainly to one character. Though the story is told in the third person throughout, the character focused chapter gives the reader insight into the more private life while also seeing the action and the conclusions drawn from an outsider's perspective. I'm not always a fan of this method, I thought Robinson did a great job balancing the narrative. About halfway through I got hooked on the story and wanted to know how it would all play out. As is typical of (at least fictional) criminal investigations, secrets that probably would have remained hidden are brought to light. When the characters begin to really question their behavior that is when they started to feel more real and I found them more interesting. I might not have really liked her characters, I did really enjoy Robinson's writing and her storytelling style. I would definitely pick up another book by her. Birds of Wonder is not your typical whodunit murder mystery. The various relationship dynamics at play in the book add a richness to the plot. It would make a wonderful novel for a book club. Be sure to read Cynthia's interview.